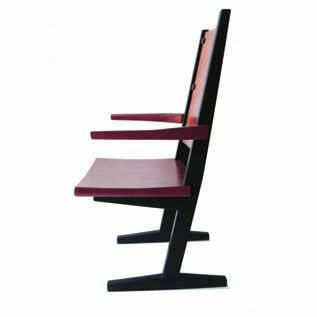 A distant cousin to George Nakashima's iconic Conoid chair, the Zoid chair has a sleek, contemporary/industrial look all its own. Pair the Zoid chair with one of our Russell or Myles dining tables for a unique decorative statement like none other. 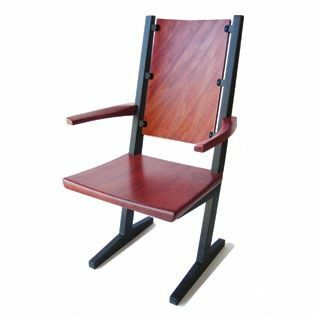 As shown: With arms, exotic Bubinga wood solids and veneers, black powder-coated aluminum legs. Custom wood species, metal treatments available, with or without arms. Price varies accordingly. Dimensions: 41"H x 19-1/2"W, Seat is 17-1/2" deep and 17" above floor. Custom dimensions available.